Preheat oven to 425˚F. Line a baking sheet with aluminum foil or parchment paper. Break cauliflower into small florets. Slice the radishes in half, so they are about 1- ½ inch thick. Toss the cauliflower, potatoes, and radishes with olive oil and salt and pepper to taste. 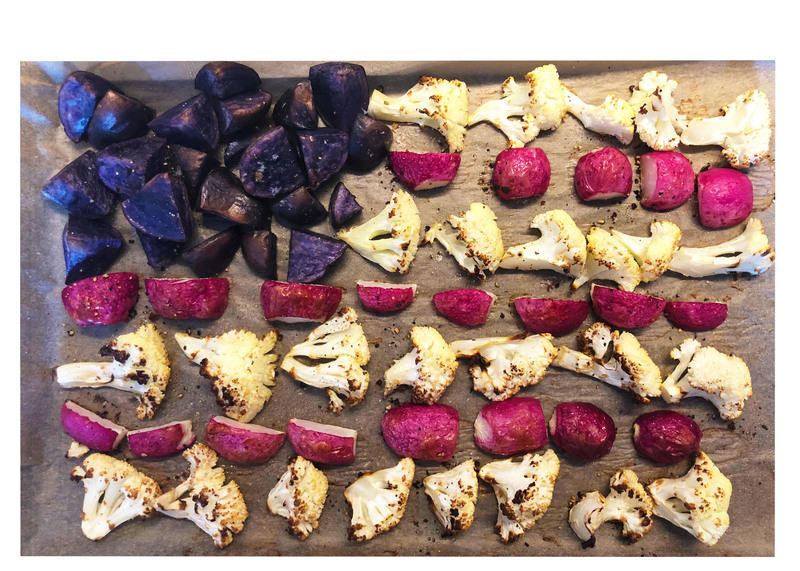 Arrange the vegetable on the baking sheet to represent an American flag. Roast for 20-30 minutes, or until slightly browned on top and tender when pierced with a fork.